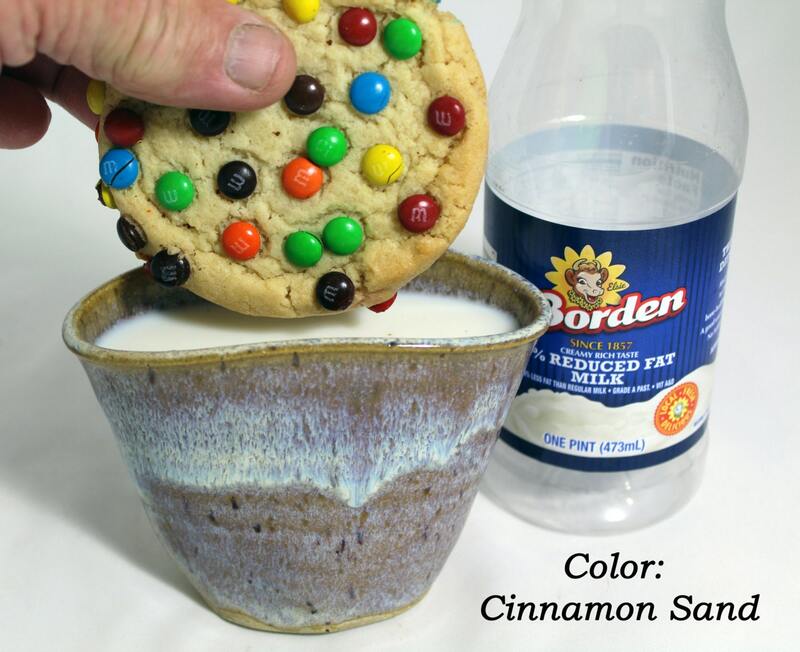 Cookie Dunker/ Click to see all five colors. A broken cookie is a broken heart! 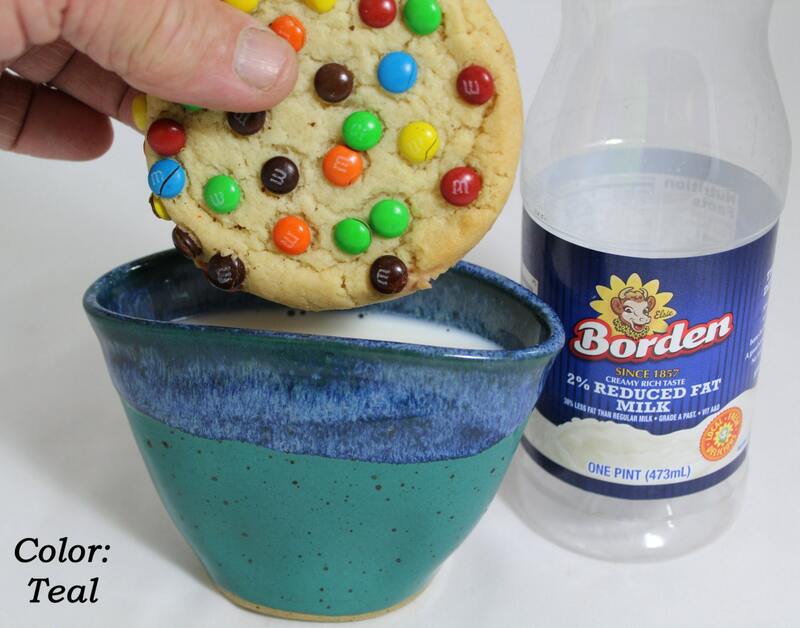 These charming "Cookie Dunker" mugs are shaped specifically to fit a whole cookie in one dunk. 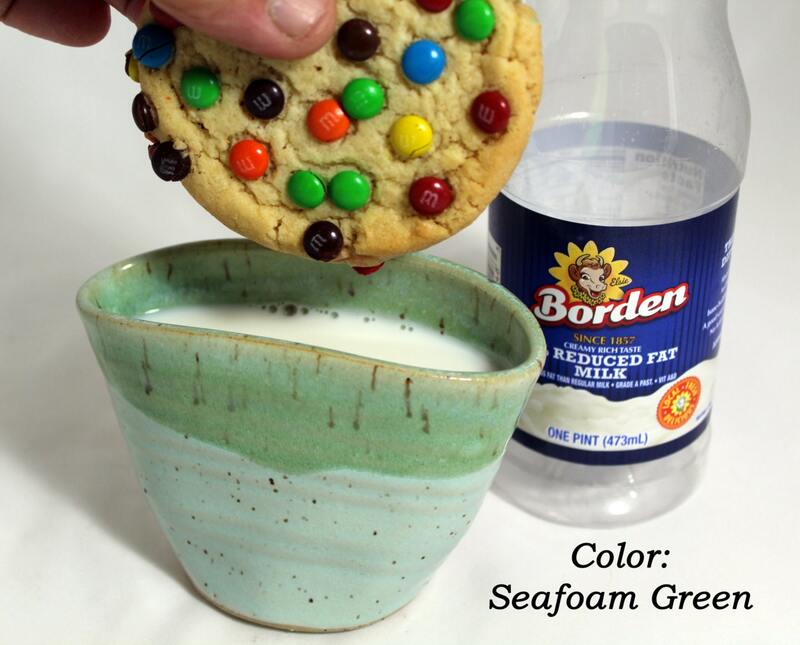 Their narrow-wide shape allows you to dunk without wasting milk, or having to break up your cookie. 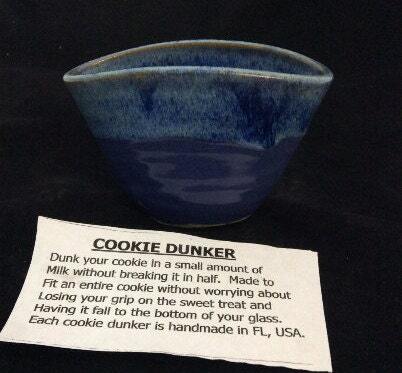 A perfect gift for the discerning host, baker, or cookie aficionado. 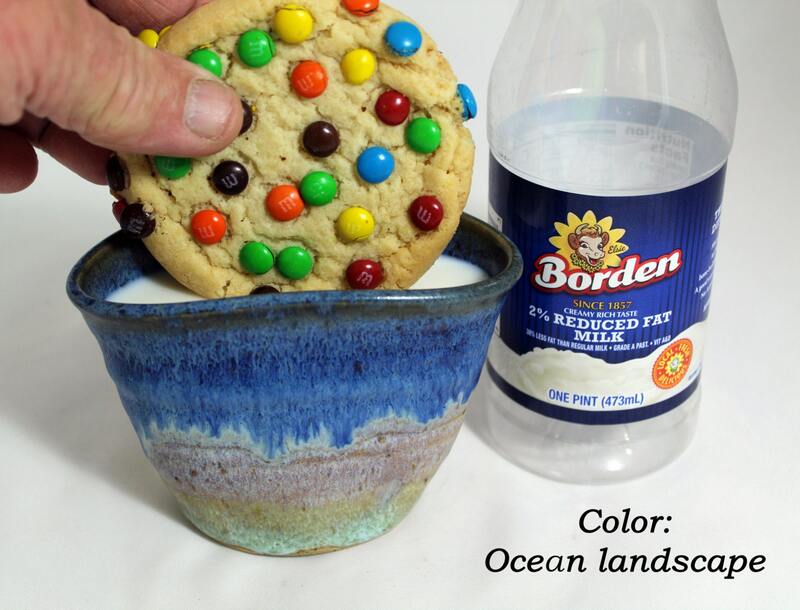 Our customers also purchase Cookie Dunkers to use as creamers; be creative, how can you utilize this unique container? Designed by master potter Richard Collison, The gifts of nature are brought together to create beautiful unique works of art. Our glaze recipes have been tweaked and perfected for 28 years now!, allowing us to create a beautiful and functional pot for your use and viewing pleasure. All of our pottery is handmade and stoneware, making each piece oven, microwave and dishwasher safe.